Product prices and availability are accurate as of 2019-04-16 04:51:21 UTC and are subject to change. Any price and availability information displayed on http://www.amazon.com/ at the time of purchase will apply to the purchase of this product. 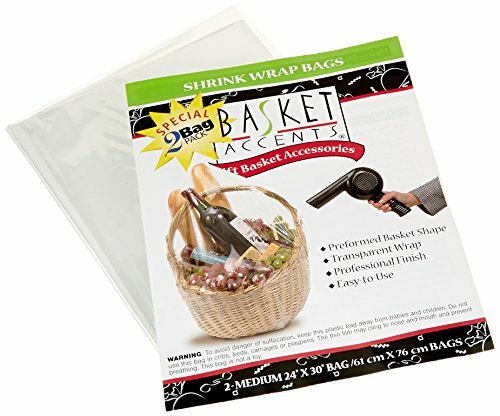 Basket Accents Shrink Wrap Bag in large. The fabulous bags are transparent, easy-to-use and give a professional finish to all of your gift baskets. 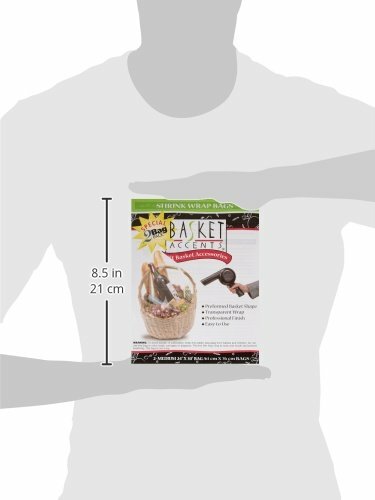 With the ability to shrink up 50% to any form and approved use for incidental food contact, it makes the perfect finishing item for gift baskets. 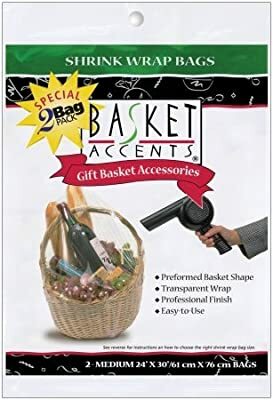 Includes easy-to-follow instructions. This package contains two 24 x 30 inch bags, clear. Available in a variety of colors and each sold separately.